Over the years, D Magazine has consistently named Parker Texas in the Top 5 Best Suburb in the Metroplex! 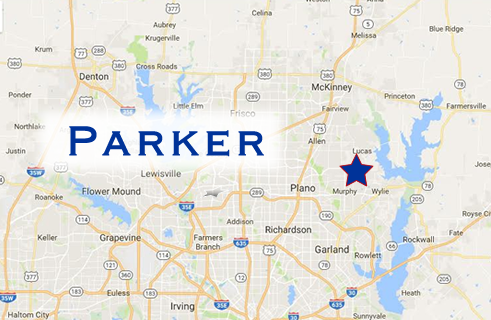 Parker is the “Best Place to Live”, not only in Collin County, but in all of D/FW. Parker has ranked in the top 5 Suburbs for the past 10 years. D Magazine looks at categories like air quality, taxes, crime, housing, schools and ambiance. Parker Texas is a highly-desirable place to raise a family or to retire. Residents enjoy a country lifestyle with nearby city amenities offered by Plano, Allen, McKinney, Lucas, Richardson, and North Dallas. Most homes are situated on acreage and retain the beauty and atmosphere found only in the country; however, city services such as police and fire protection as well as city water services are all available to Parker residents. Additionally, residents enjoy excellent schools served by Plano ISD and Allen ISD. Conveniently located just north of Dallas, TX; Parker is located near Lake Lavon where residents enjoy fishing and boating and equestrian trails are available for horse lovers. Parker residents enjoy easy commuter access too with homes located just minutes from 75-Central Expressway, Highway 121, or the George Bush Turnpike. With beautiful wide open spaces, the City of Parker is small town Texas at its best!